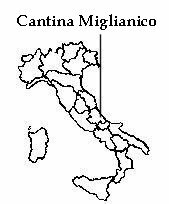 Due east from Rome is the region of Abruzzi, well known for the wine Montepulciano di Abruzzi. 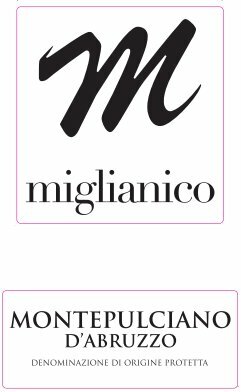 In the heart of this region lies the Cantina Miglianico which was created 1961 by a group of viticulturists who wanted to elevate the quality of their wine. The effort was guided by the local parish priest by the name of Vincenzo Pizzica who strongly believed that the joint effort would make it possible to compete with large producers. The first bottle was ready in 1966, and the effort made a wine that anyone would be proud of. Today the Cantina encompasses 300 growers and manages another 500 hectares of vines. The grapes are grown on south facing slopes, cooled by the Adriatic Sea. Tasting Notes: This is the perfect pizza wine - fruit forward, medium bodied, low acidity and little to no tannins. Vinification Technique: On the skins for about 8 days.